Delicate white tea and full-bodied black tea with spices and the sweetness of honey and vanilla. 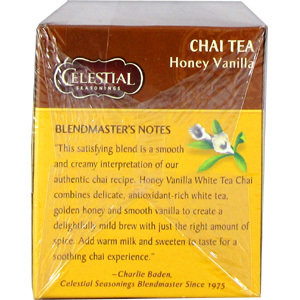 "This satisfying blend is a smooth and creamy interpretation of our authentic chai recipe. 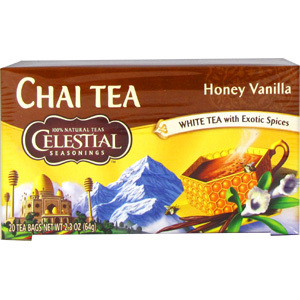 Honey Vanilla White Tea Chai combines delicate, antioxidant-rich white tea, golden honey and smooth vanilla to create a delightfully mild brew with just the right amount of spice. 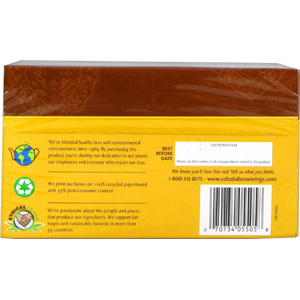 Add warm milk and sweeten to taste for a soothing chai experience." Pour 3/4 cup freshly boiled water over one tea bag. Steep 4 to 6 minutes and remove tea bag. For authentic chai flavor, add 1/4 cup hot milk and sweeten to taste. Pour 1/2 cup freshly boiled water over one tea bag in a heat-resistant container. Steep 4 to 6 minutes, remove tea bag and add sweetener while chai is hot. Fill a glass with ice, add 1/2 cup cold milk and slowly add chai. 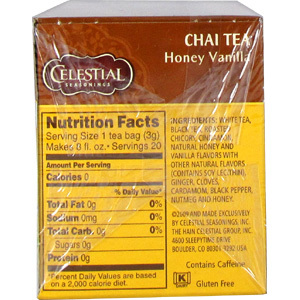 Honey Vanilla White Chai is shipped in a discrete, unmarked package. Orders are processed immediately and usually takes about 3 to 5 working days to be received. We do ask that you try it for 2 to 3 weeks to feel the full effects. Any information received is used only for order processing and shipping purposes. Your information, such as e-mail address, will never be disclosed to a third party.